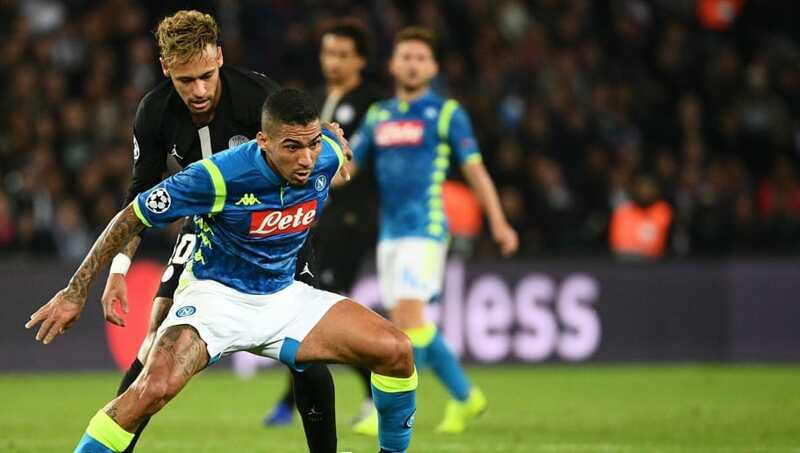 ​SSC Napoli manager Carlo Ancelotti has dismissed any talk of Brazilian star Allan leaving the club, saying that there will be no big moves" in the January transfer window. The 28-year-old has started in every UEFA Champions League match that his side has played this season, as well as starting 14 out of 19 Serie A games. Allan has been a key factor in ​Napoli's recent success, and is renowned for his incredible defensive skills. According to ​WhoScored, he has the second-highest amount of tackles per game (3.6) in Serie A, as well as the most successful tackles (64). Carlo Ancelotti insists midfielder Allan will stay in Napoli despite #PSG transfer rumours. According to reports from ​Goal, PSG maintain a strong interest in the midfielder and are willing to make a bid of €80m (£71m). However, Ancelotti has made it clear that their star midfielder won't be on his way out this month, saying: "They have nothing, Allan is our player. We don't need to discuss anything with the president, because there are no big moves on the horizon. "I have never been concerned about losing Allan, because he had a fantastic first half of the season and we hope he'll do even better for us going forward." French giants Paris Saint-Germain are seeking a new midfield option due to the uncertainty surrounding Adrien Rabiot who, according to reports, looks set to ditch Parc des Princes for Camp Nou. The French midfielder's contract is set to expire in the summer, which has led to some speculation that he could be leaving PSG this month. However, as there are less than six months on his contract, clubs can approach to sign him on a pre-agreement. PSG are looking at Allan as a replacement, however they have identified other options to replace Rabiot should he leave, one being highly rated Dutch midfielder Frankie de Jong, currently of Ajax, who he is also being touted as an option for Barcelona and Manchester City. A move for De Jong looks a lot more likely for Les Parisiens, as he is only 21 and any deal would likely cost the same as a deal for Allan.